Located in West Bengal, just 187 km from Kolkata, Digha is a beautiful, serene resort town. One of the most popular tourist spots of West Bengal, it is frequented by those who are in search of some peace. 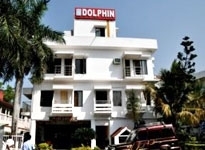 If you are also planning a tour to Digha, Indian Holiday offers you some sought after hotels in Digha so that you can have a comfortable stay. These hotels provide all the necessary facilities and amenities, along with flawless hospitality services. Take your pick now and give us a chance to serve you.